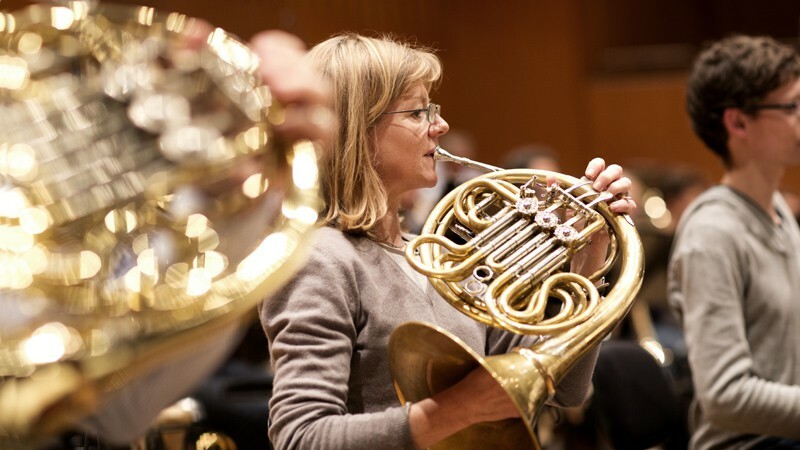 Ursula Kepser, born in Kleve, began horn lessons at the district school of music at the age of thirteen. At the age of seventeen she became a junior student with Marie-Luise Neunecker at the Music Academy in Cologne. She won a second prize in the German youth music competition “Jugend Musiziert”. She played in the Bundesjugendorchester (German Youth Orchestra) and later became a member of the Junge Deutsche Philharmonie. During her studies she attended master classes with Professors E. Penzel and P. Damm. After a one-year contract in the Philharmonisches Orchester Essen, she moved to the Radio-Sinfonieorchester Frankfurt at the age of twenty-two, where she was a member for seven years. She also taught at the music academy in Frankfurt. Since 1996 she has been a member of the Symphonieorchester des Bayerischen Rundfunks and also cares for chamber music, for example plays with the Linos Ensemble. Concert tours have taken her to South-East Asia, through Germany, Austria and Spain.